Journal of the Ural State University of Economics (Izvestiya Uralskogo gosudarstvennogo ekonomicheskogo universiteta) was founded in 1999 by Ural State University of Economics as an open access scientific peer-reviewed title devoted to the issues of economic development and growth. The mission of the journal is to create an effective platform for academic interaction of authors and readers. In line with the specialization, the journal seeks for works devoted to theoretical, methodological and practical issues of economic growth and economic systems’ development. The principal objective of the periodical is to foster the development of economic science by presenting fundamental and practically significant academic achievements of Russian and foreign researchers. The journal publishes papers in both Russian and English. 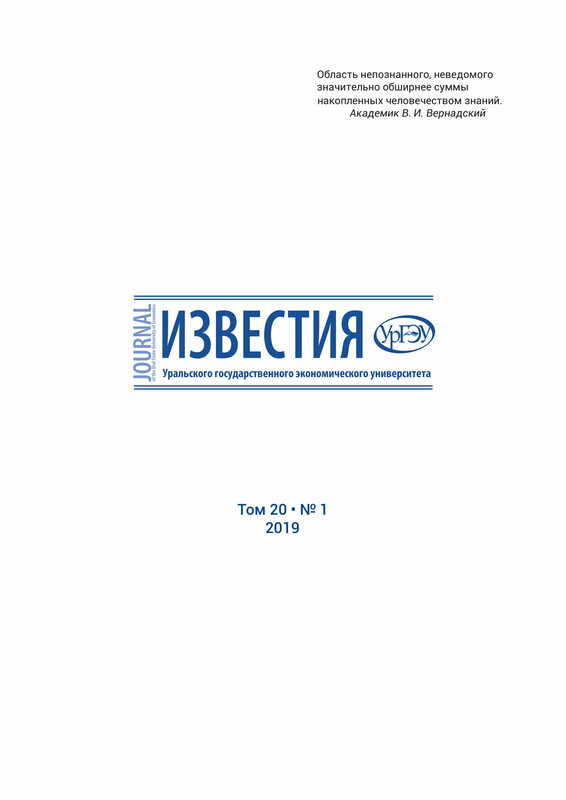 Journal of the Ural State University of Economics (Journal of the USUE) is included in the recent Russia’s List of the leading peer-reviewed scientific journals and titles, which publish the major research results of dissertations for a doctorate and a candidate degree.